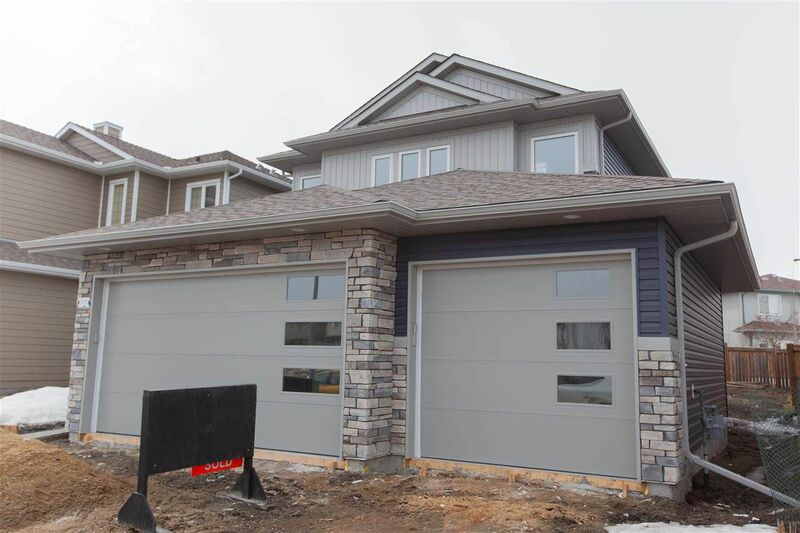 2050 sq ft home located in the Lakes in Morinville just being built ready end of August. You can pick your own paint colours and Flooring in early stages. 3 large bedrooms up with 5 pc ensuite plus 4 pc main bath. Nice open concept on main floor with granite, hardwood ,ceramic, pantry, large island and separate eating area with doors to deck and good sized yard. 36ft by 31ft Quad garage is a feature you will not find in many homes. Close to NEW REC CENTRE in Morinville. Comes with Alberta New Home warranty. basement can be finished by builder for a cost.